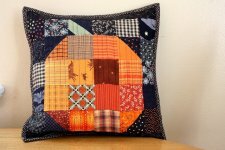 "A couple of years ago I made this simple patchwork pumpkin throw pillow. It's an easy project perfect for using up scraps. Here's a tutorial for this quilt block as well as some other patchwork pumpkin projects to make some quick scrappy Halloween decorations. "This look includes a variety of styles of pumpkin blocks to make it an even scrappier and unpredictable patch of pumpkins, good for showing off larger pumpkin prints as well. 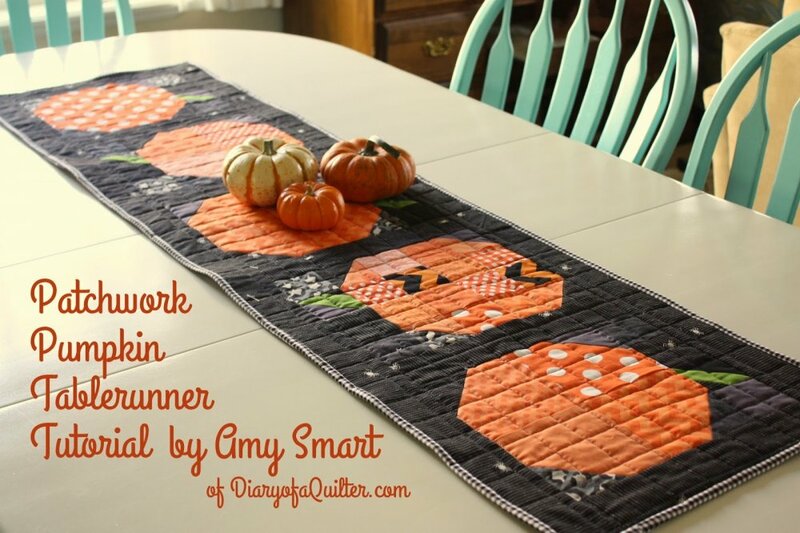 This row version could be easily replicated to make an entire quilt." What do you think of this pumpkin block?